Let's assume your a business owner and/or HR administrator. Maybe in your large amounts of free time, you've heard of the new revolution for Small Businesses. 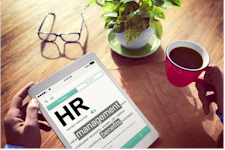 The Advent of Online HR management systems. For Human Resources and Benefits management, this is second only to the invention of email! 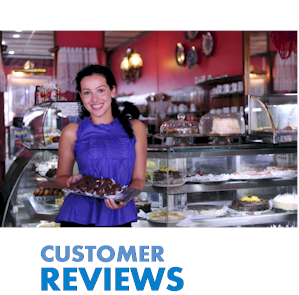 We're going to personally guide you through the entire process! We're small business ourselves and it's always the same. Yes, it's not ideal but it's established. Who wants to undertake another project? Especially one that involves our whole HR on-boarding and off-boarding process. Again, we feel your pain. That's why we realized, the only way to bring this great service to people is to really do the dirty work for them. We will set up the system and get it ready for you. That's right. You send the hard detail and we'll get the account ready so you can just start right away. We'll enter your employee detail so it's all ready to go. Again, turn-key. We'll offer you a dedicated rep to help you quickly get up to speed on how to make changes, add employees, terminate employees, make changes etc. This is an ongoing support beyond the roll-out. The Chinese have a saying, "Well begun is half done". We understand that if we get you from 0-60 without you having to break a sweat, the rest will go smoothly. All the heavy lifting is in the load-out and we're practically on HR steroids! There goes our Olympics dreams. Why do we do this for our health benefit clients? We understand it's really the only way companies are going to be able to reap the rewards of the new online HR world. Otherwise, it goes on the long list of "to do when I have tons of free time". I.e. Never going to happen. More importantly, WHY are we doing this? 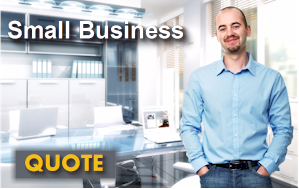 We are licensed California small business health insurance agents. There's no cost for our services. Experience has shown that companies we enroll in online HR become incredibly satisfied and STICKY. They never leave us! We guess it's selfish but hey...it's free to our clients. We can service existing accounts and immediately add the online HR benefit service! If you have no agent or your agent hasn't offered the online HR capability to you...you're not getting the full service. 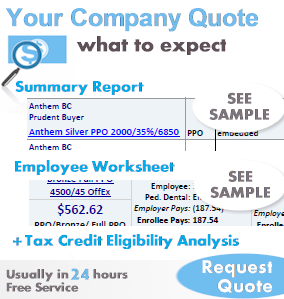 Just call us at 866-486-2551 or request your business quote below (check the online HR button). So, that's the why and how. Let's look at the "what". Let's break down each of these separately. This is one of our favorite pieces. We think you'll agree if you're sick of managing quotes, forms, and census info. If not...then you're not dealing with HR! With SimpleFits, you can quickly bring on new employees and have one entry of their info automatically transfer across benefits, payroll, and other human resource systems. 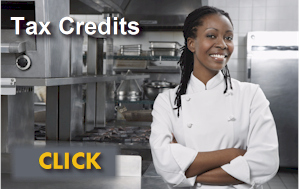 You simply enter a few key fields for a new employee (zip code, age, etc). 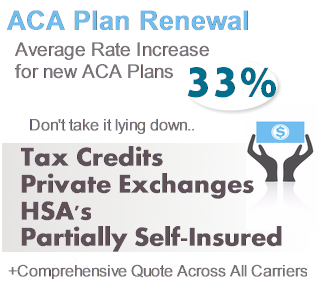 You can send a personalized link to the new employee which will show them their specific rates, plans, and benefit summaries as required by the ACA law. They click and choose their plan and you're done. The system automatically logs this information with the next step according to our initial set-up. One note...we can help discuss health options with any new employee directly. We can even integrate directly with major payroll companies. For the rest, we can auto-fill their required forms. Either way, get ready to save time and avoid mistakes. Avoid this completely as the system automatically transfer the correct information based on the employee's selection. Call 866-486-2551 or Request your Cloud Based Online HR System for Free HERE. What about off-boarding and SimpleFits? Just as easy and even more important. One quick entry and all benefit termination is processed across multiple carriers and plan types. No longer is a form needed for medical and then another one for dental. And life. On and on. You're starting to see how you can save some serious time. And avoid some serious mistakes. Did we send in the form for VSP? Yes...it all processed automatically. Raise your hand if you like deciphering the forms from each carrier for terminating employees. It's such a pain to deal with each carrier's way of handling termination. You see why this system is so sticky? Why we offer it free to your business health clients? Same entry and process also triggers Payroll to terminate withdrawal and salary based on term date. One action across both benefits and payroll. Again, main benefit here is direct integration with some of the biggest players in the payroll space. It's really important to say goodbye correctly. The laws are always changing on this and many small business are still operating under old rules. This hasn't caught up with them yet. The system will automatically for prompt for up-to-date required notifications. Cobra, Cal-Cobra, termination check-list, ACA health exchange notifications, deadlines, etc. Rather than hope you're up to date, have a resource that has your back. The entry to terminate will automatically generate the needed notifications not only to the carrier (Cobra and term) across all the benefits (medical, dental, vision, etc) but also to the employee as well. Stay out of trouble in today's tricky HR legal environment. It's a safety net but it might just save your professional life! Most importantly, we'll handle the initial transition step by step. We'll literally hold your hand through the process. 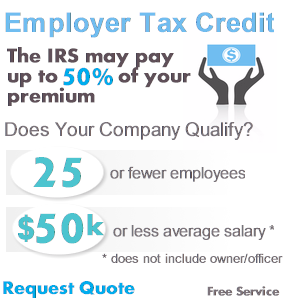 Other companies simple can't provide this since they expect more self-enrollment. Our model is full-service online HR integration.